Valencia is excited. It's the first time a Boiler Room show has touched down in the Southern Spanish city. 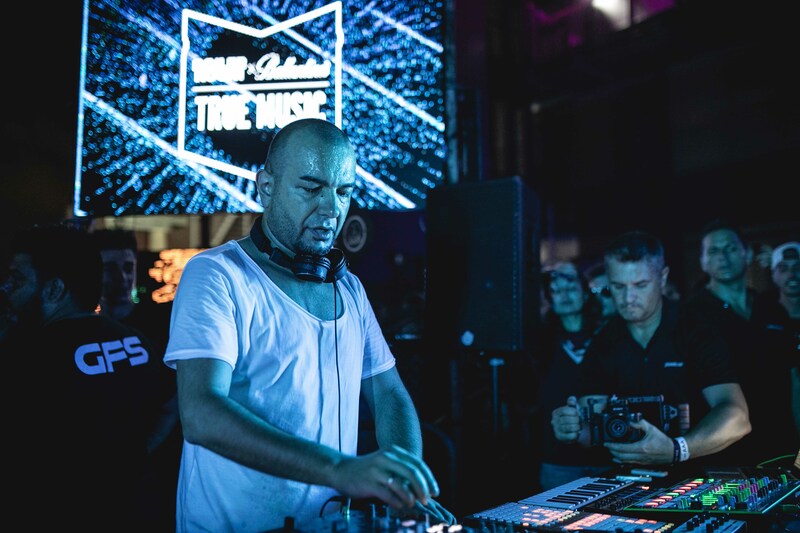 So the anticipation ahead of tonight's Boiler Room x Ballantine's True Music: Hybrid Sounds show - which brings talent including KiNK, Octave One and Kornél Kovács to the city – is palpable. DJ Mag arrived two days ago, welcomed out of the airport by intense winds which intensified towards the city's vast and sprawling coastline. Winds of change have blown through the latest edition of True Music too. 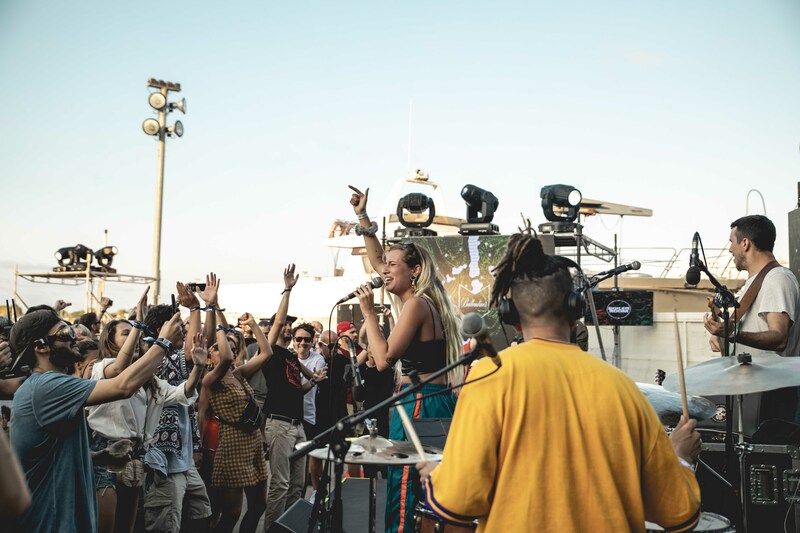 This incarnation of the five-year partnership between Ballantine's and Boiler Room has flipped the script; electronic artists have teamed up with non electronic musicians from four global cities to explore the excitement at the intersection between genres, scenes and cultures. Prior to tonight's finale, the tour touched down in Moscow, Sao Paulo and Beirut. In each city a lead collaborator was tasked with tracking down a local artist or group to collaborate with. The fruits of these sessions will be released as part of the True Music EP [now available here]. With artists including Overmono, Dollkraut, rRoxymore and KiNK, it's been an exciting, genre-diverse journey so far. "Boiler Room has always been genre agnostic" Steven Appleyard, Boiler Room's Head of Music, explained to DJ Mag before the show. "But the largest part of what we program happens to be electronic." Whereas previous incarnations of True Music have focussed on one lead artist collaborating with with another electronic artist, this edition is something of a step into the unknown for the partnership, and for the fans who attend or tune in online. "It’s a virtue of the model we set up, Steven continued, animated and clearly excited by the project. "We can pretty much guarantee that we’ll get numbers at the shows, and that people will come, drink some whisky and have a good time, so that affords us the luxury of being able to experiment and play around with different types of artists." And the artists booked for tonight's show couldn't be more relevant to this hybrid ideology. Lead collaborator KiNK is arguably the ultimate live/DJ hybrid out there. Detroit's Octave One meanwhile are not only at the forefront of technical and musical innovation but they also recorded with traditional musicians at the highest level, most notably The Urban Soul Orchestra, who recorded the strings for a remix of Octave One's timeless classic 'Blackwater'. When we caught up with brothers Lenny and Lawrence Burden earlier in the day, they told us about the excitement and challenges of recording the live strings on the track; transposing a piece of music from machine to man. "[The Blackwater remix] changed a lot for us," Lenny opined. "It really changed how we envisaged what our music could be. Up until that point it was all electronic, so actually hearing a group of musicians interpret it, you realise it's a lot bigger than us just making music in our mum’s basement!" "To hear an orchestra do a rendition of what we had developed, in the studio with synthesised strings, was just amazing," Lawrence picks up the point. "The challenge that it presented was that the way we played the strings in a studio, you literally can’t play those with an orchestra - that’s not how strings are played!" 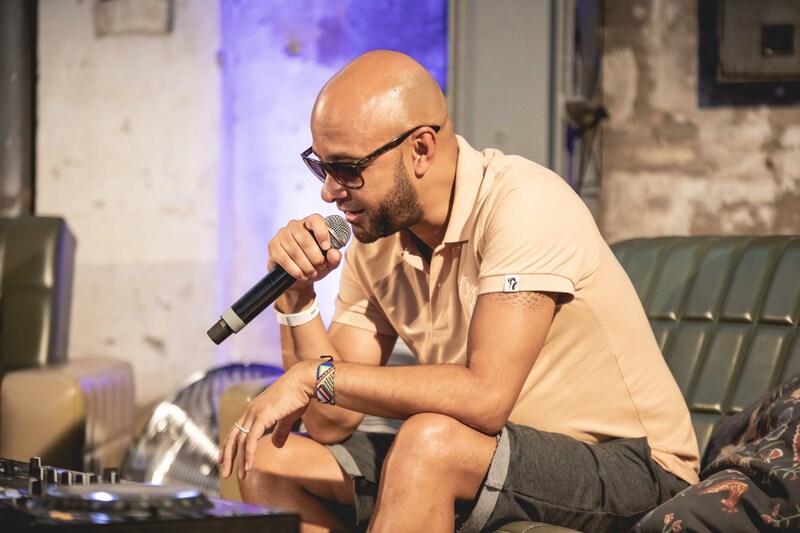 During yesterday's True Music Forum – a series of panel discussions and keynote conversations, in an old ice factory off Valencia's vast and sun-drenched beach – Nightmares on Wax made a similar observation. During an inspiring conversation with Boiler Room's Raj Chaudhuri, George Evelyn detailed the evolution of 'Les Nuits', which features strings recorded by a 52-piece orchestra. Fans of the longest-serving Warp Records artist will know that 'Les Nuits' began life as 'Nights Interlude' a record formed entirely from samples, primarily from Quincy Jones' incredible 'Summer In The City'. The movement from of a piece of music produced exclusively from samples through to the sheet music of a 52-piece string section defined to us us what this Hybrid Sounds concept is really about. "We were just experimenting with beats," Evelyn continued, illustrating the surreal clash of musical cultures. "We didn’t know anything about key changes or chord signatures." 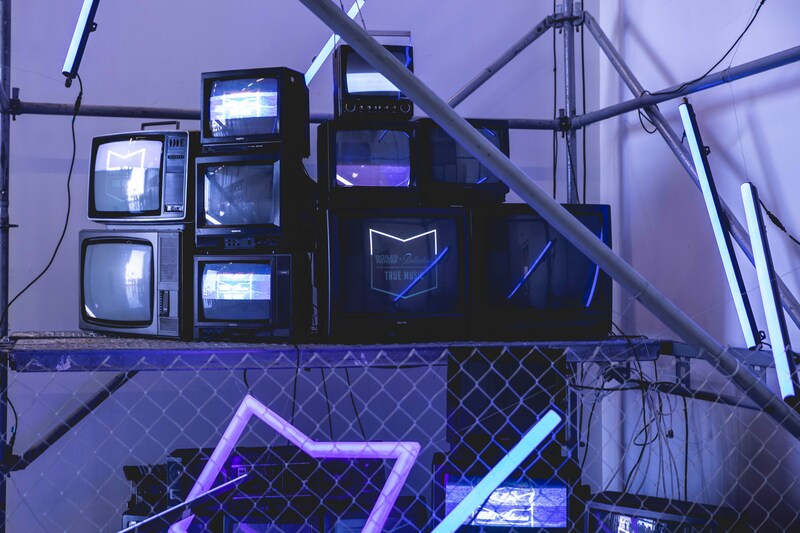 It demonstrates how this mutation of traditional and electronic has the potential to shift expectations to create unlikely, often remarkable results. "We play a lot of things unorthodox, Lenny Burden from Octave One continued. "We’re not thinking about how things should be played by a human, we're trying to create a machine version." This, in a nutshell, is the exciting intersection that the Hybrid Sounds Tour aims to explore. Tom Elton, Head of Music for Ballantine's – and one of the driving forces behind the concept – told us that the tour "has surpassed expectations and broadened what we thought True Music could ever be." "The beauty of the partnership," he continued. "is we never tell artists what to do. So its always a surprise to us. The purest test of whether it’s successful or not is the fans reaction." And walking along Valencia's industrial port towards the venue for tonight's show, it's clear the fans are excited for what lies ahead. The venue, an industrial arts space with hanger-style openings into an exposed outside area on the water, is impressive and filling up fast. Spanish trio Big Menu open the show with a slick, jazz-infused live hip hop performance. They are joined by R&B vocalist KYNE later in the show. Big Menu are the artists selected by KiNK for his True Music collaboration. We caught up up with the Bulgarian producer earlier in the day, chatting music and technology and as he sipped espresso, after a late show in Ibiza the previous night. "What I liked about Big Menu," he explains, warming to the subject, "is they are a bit like me. They are jazz musicians, but they make hip hop. I love jazz music, I love dance music and I love hip hop as well, but I really like that duality in their project." KiNK spent four days with the group in their home city of Barcelona. Although the first two days were spent getting acquainted ahead of two intense days in the studio. "Luckily when we met, we clicked very well," KiNK shares, before moving onto the crucial point, "we laughed at all the same jokes!" He laughs again now, but it's clear that this personal connection in the studio is vital to his creative process. "The enjoyment of working on music together with people adds emotion to the music. We have to transfer some kind of emotion to the public, so it’s very important for me to click with the people I work with." Watching Big Menu, firing away on delay pedals, tweaking and mutating their stripped-back jazz-infused sound, it's clear to see why KiNK warmed to the trio. As the sun begins to dip, reflecting on the water around the venue, Manchester duo Children of Zeus continue the hip hop flavour of the early part of the show, before Kornél Kovács ups the tempo with a slick, sun-drenched set that demonstrates why he is so highly rated right now. Octave One are up next. Surrounded by banks of wires, machines and a full mixing desk, the duo work their techno aesthetic to the maximum during a set that ebbs and flows, but remains stripped and driving throughout. It's an impressive performance, and one that involves levels of logistical and creative planning that are simply incomparable to a DJ set. "The biggest challenge to playing live is the preparation," Lenny told us earlier in the day, when asked about being a live act in a DJ's world. "For tonight’s show I’ve been up all night, gear all over the hotel room, trying to make something happen. It puts you on the edge of your seat performing something for the first time. If a DJ plays a track and it’s not working, he can just cut it out. For us, we gotta play the piece!" There is simply no sign of anything 'not working' tonight. Valencia is rocking as the Burden brothers' set climaxes with a thundering rendition of 'Alkalyze' from this year's Random Noise Generator record. And with that the limelight moves to the central stage, where KiNK is ready to close the show. Always a visual and audio treat, KiNK fires through his own material, remixes, loops and edits while constantly layering acapellas with his trademark tape-looped vinyl. A live rework of 'Perth' receives particular Valencian acclaim, before KYNE makes an appearance in the booth. 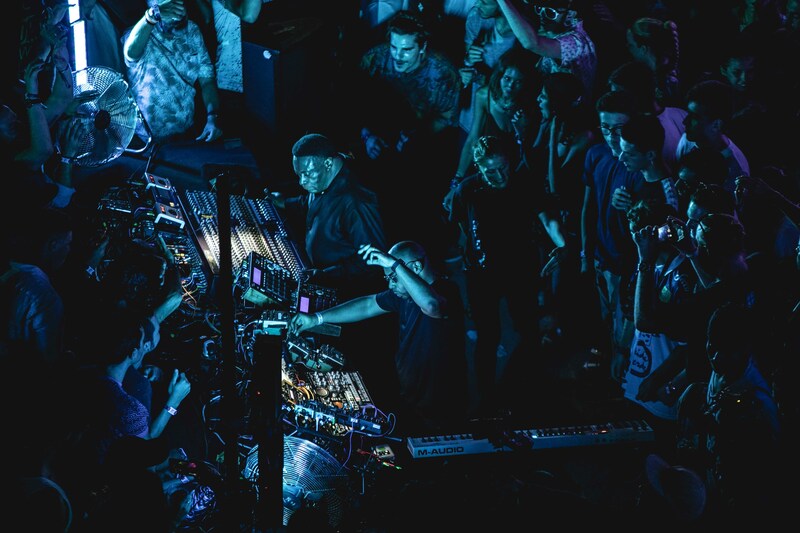 KiNK takes the cue, slows the tempo and builds the atmosphere, jamming live percussion with his sample pads as the crowd move closer, expectation heightened. KYNE teases a haunting vocal as KiNK keeps the vibe bubbling. As the R&B vocalist – looking and sounding very much at home in this techno world – drops the opening line from their True Music record (alongside Big Menu), KiNK drops the bass. "It's been a pleasure" KYNE calls out as the the track concludes, leaving the crowd cheering as the Bulgarian master closes the show with some emotive and improvised keys. Watch all of the sets, listen to the True Music: Hybrid Sounds EP and find out more about the True Music journey at truemusic.boileroom.tv.